It looks like things are changing over at Ipsy and I am here for all of them! Not only are the cards in each Glam Bag more detailed, the beauty quiz got a makeover so you can update your preferences! This way, you’re not limited to receiving nail polishes every month or the same mauve lip stick. 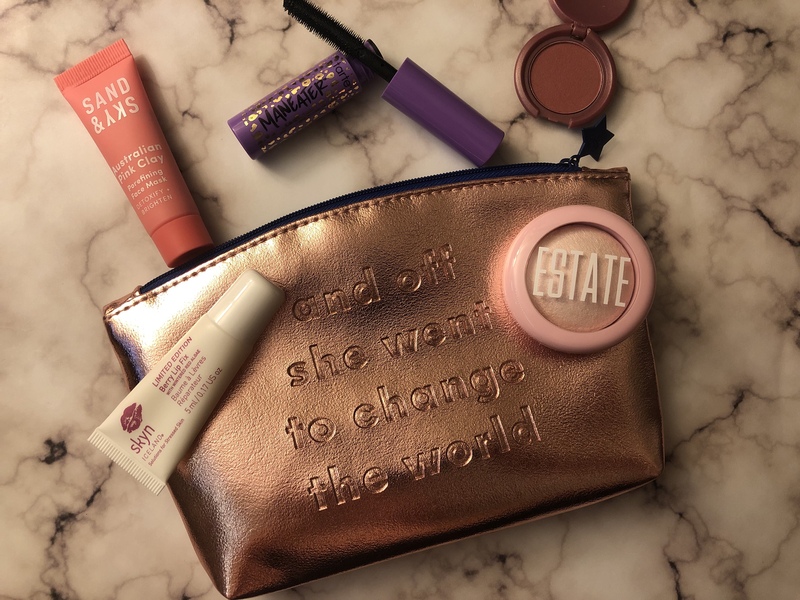 March is also National Women’s History month and this month’s Glam Bag is filled with products from female-founded brands. 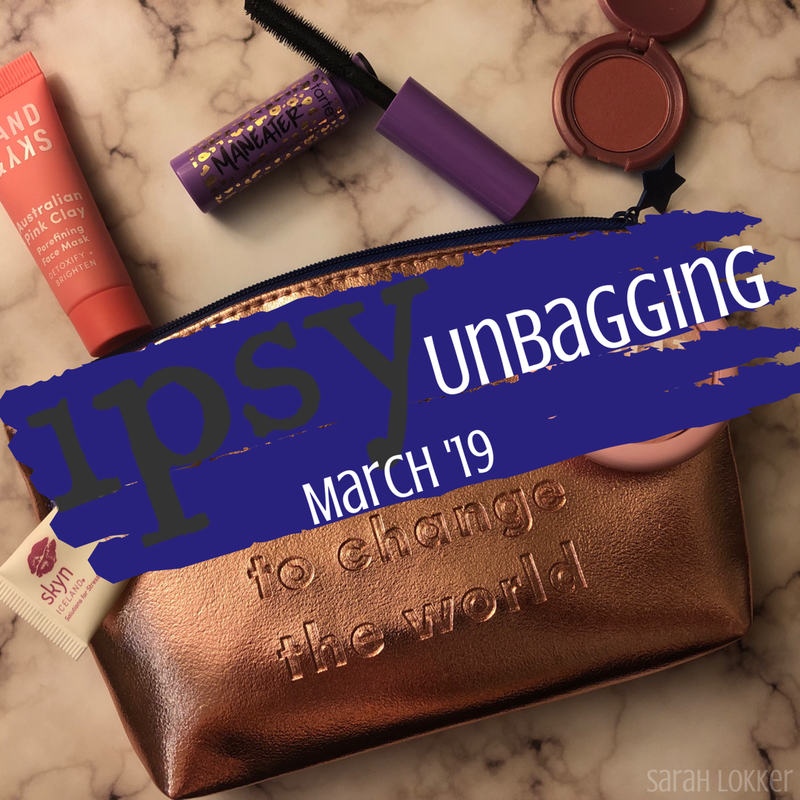 I love how the theme for this month is all about the #ipsySHEro in our lives and the Glam Bag itself is a constant reminder that we are in control of our own fate and destiny. When I traveled to Iceland, I noticed how seriously they take skincare. After all, the Blue Lagoon is one of the biggest tourist attractions! 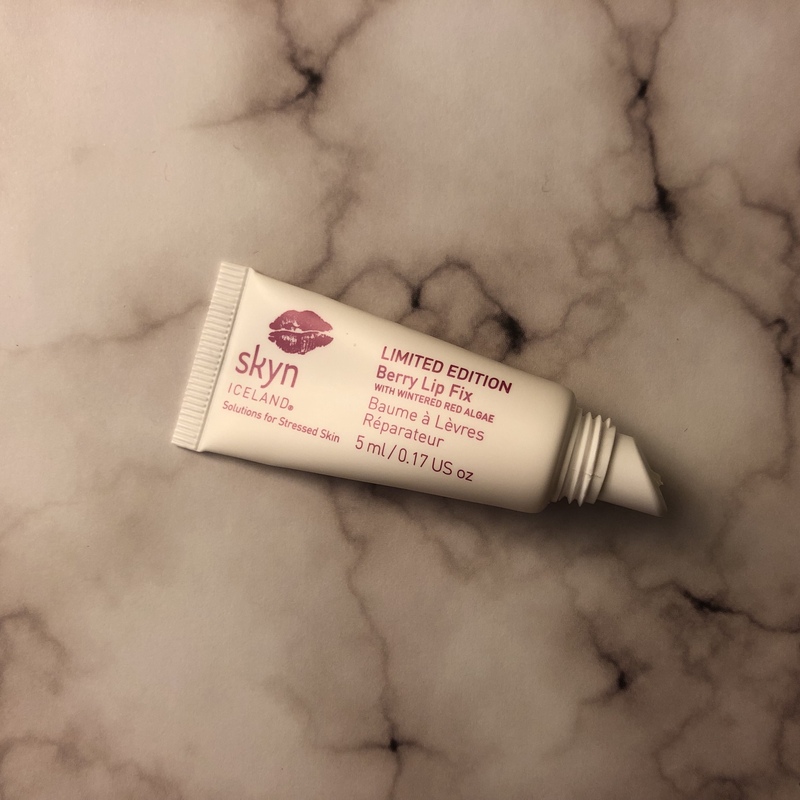 SKYN ICELAND is all about products that heal, relieve and replenish stressed out skin, which is just what the doctor ordered. This lip treatment is filled with mineral-rich wintered red algae that provides long lasting hydration, almond oil to give a healthy shine and shea butter to nourish, heal and protect your pout. First off, I didn’t love how difficult it was to push the product out of the component. The formula seemed thick and didn’t disperse nicely on my lips. Once it was on, I noticed a slight tingling sensation, which was the red algae working its magic. However, the results didn’t blow me away in the long run. After discovering this brand in an old Birchbox, it has been popping up left and right in all of my social media timelines! And understandably so. 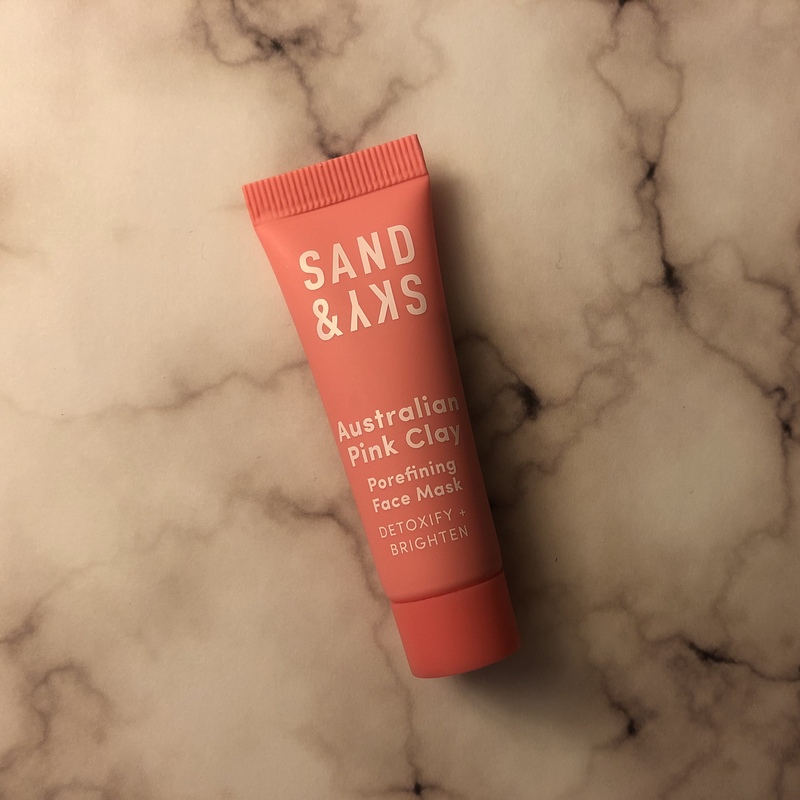 Packed with a bunch of rare Australian ingredients like vitamin-C rich Kakadu plum and pink clay, this face mask tightens and shrinks your pores and helps control excess oil. I love a face mask that tightens as it dries and this one didn’t budge. Recently, I’ve been trying to implement a skincare routine and face masks are a major component of that regime. I like this one out of the other two Sand & Sky masks I’ve tried the most for how quickly it dried down and for how recharged my skin looked post wash. It brought a lot of impurities to the surface, which made for easier extraction. It’s been a minute since I’ve found a mascara to obsess over. This one just might take the cake as an all-time fave. 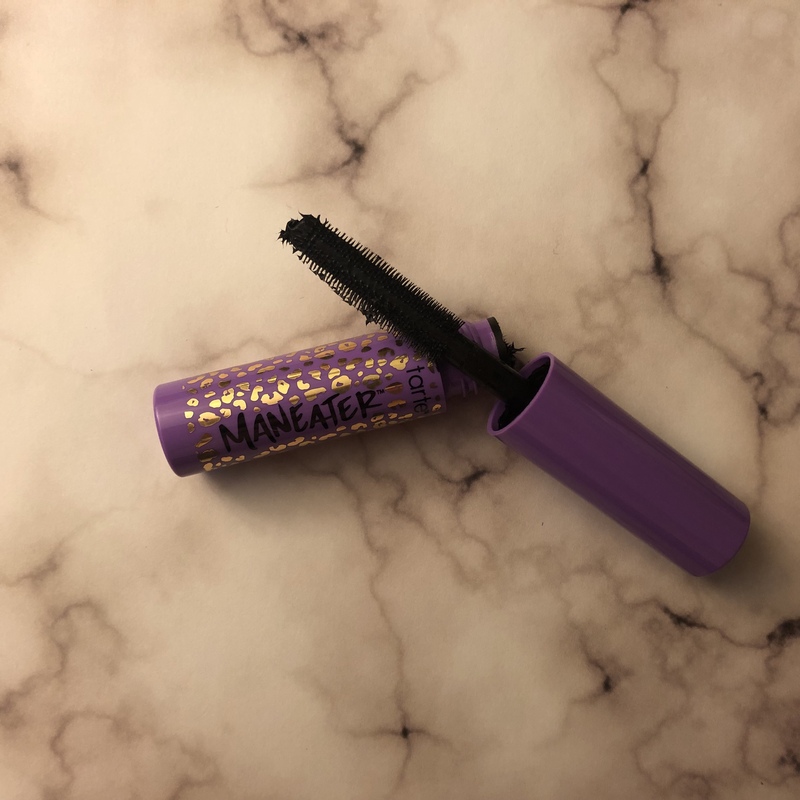 Maneater is an inky black mascara that has a unique wand that grips and lengthens even the tiniest of lashes. The formula doesn’t flake and lashes are lifted, curled and volumized with one coat! It can easily be layered up for a falsie-look, which I have been all about lately. It’s even better when I don’t have to mess around with lash glue! I’ve already been a longtime fan of Lights, Camera Lashes, I was really excited to get my hands on this and needless to say, I was not disappointed. 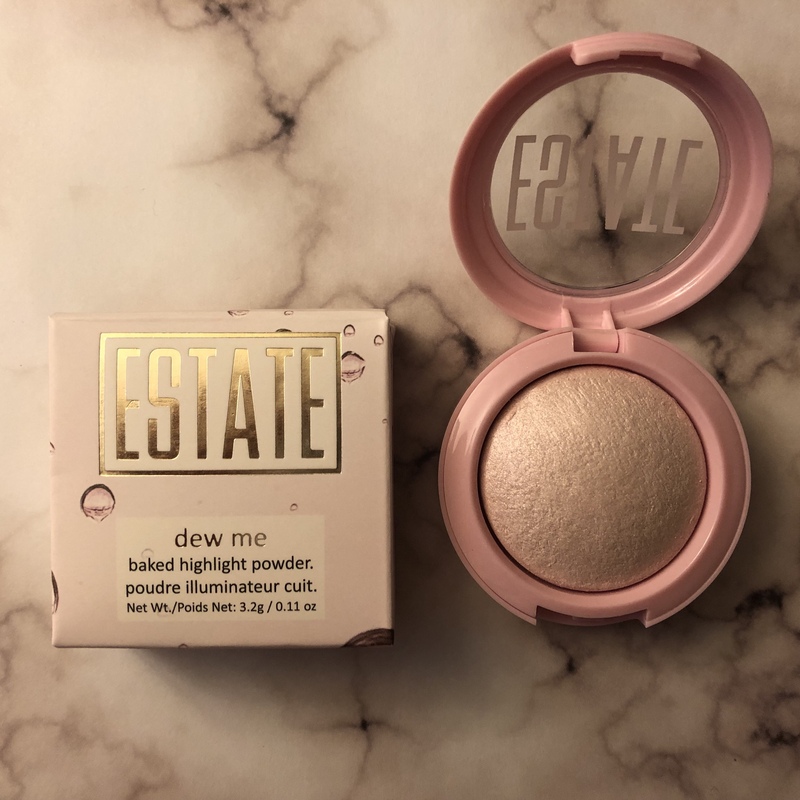 Highlighters are one of my favorite things to dabble in, and this one is no exception. This baked highlight starts out creamy, but blends into a velvety texture that melts into the skin. Last year, I discovered a dupe for Pink Heart of the ABH Moonchild palette and this one could be an even more affordable dupe to that, coming in only at $10! I really love the metallic silver finish in this one because if you wanted, you could reach the mothership with some out of this world layering. Aesthetically, I really loved the dome-shaped pan in its compact because it really shows off the dimensions of the shimmers rather than laying flat. Plus, the component is something I really love because it’s heavy and feels sturdy in the hand. Admittedly, this formula is a little more powdery than I would like, but when applied with a brush, it’s less noticeable. It lasts all day and can be doubled as a pearly eyeshadow in a pinch. Double up on intended product use. 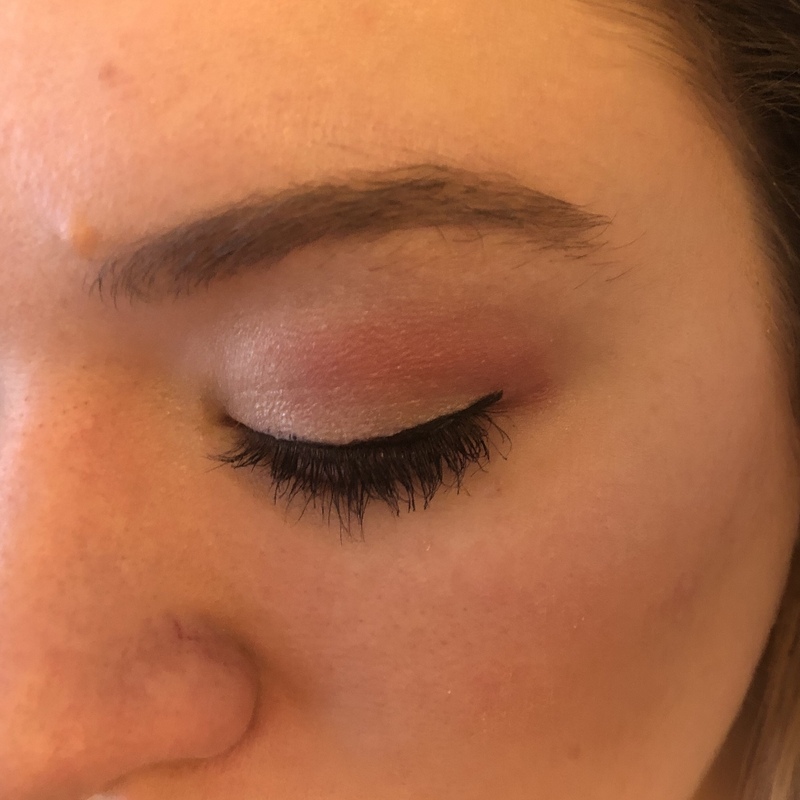 When I first pulled out this single shadow, I knew immediately this wouldn’t be something I’d opt to wear on my lid since pinks and reds are notorious for staining! Truthfully, I saw this more as a blush shade and thought this would be a beautiful blush to contour with! However, I was surprised with how easy this shadow blended out in the crease. I had taken a champagne color and really loved how this could be incorporated into a rosey smokey eye. This formula is talc-free, mineral oil and parabens so you can rest assure there’s no funny business going on. 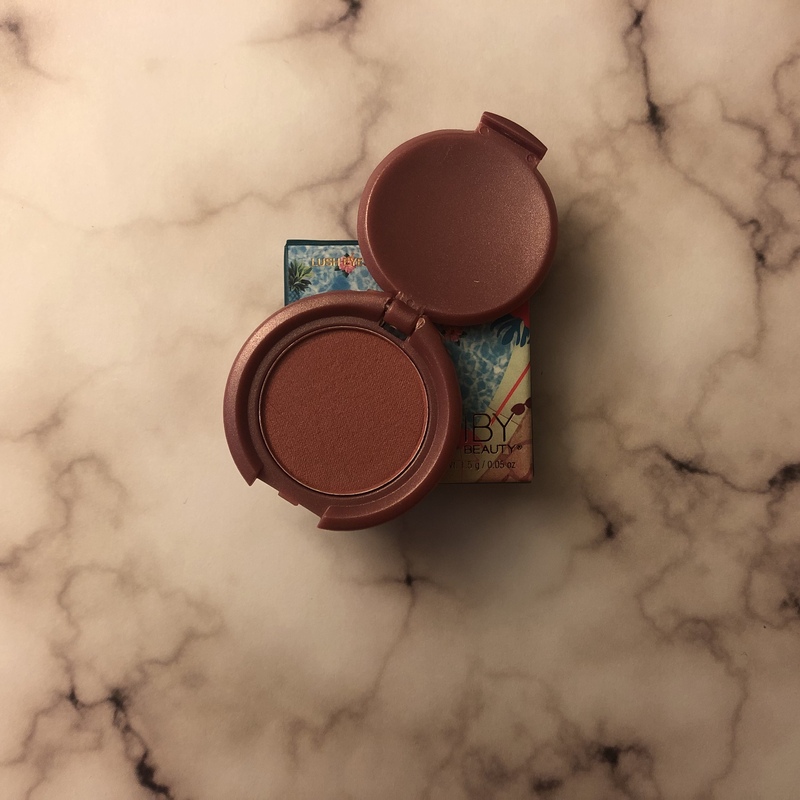 Even though this wouldn’t be a shade I’d wear every single day on its own, the Poolside palette, infused with rosehip seed oil and where this shadow comes from, is filled with fun summertime colors, where this would be a building block of an array of looks. These aren’t colors in my comfort zone, so I’ll be staying in the shade. 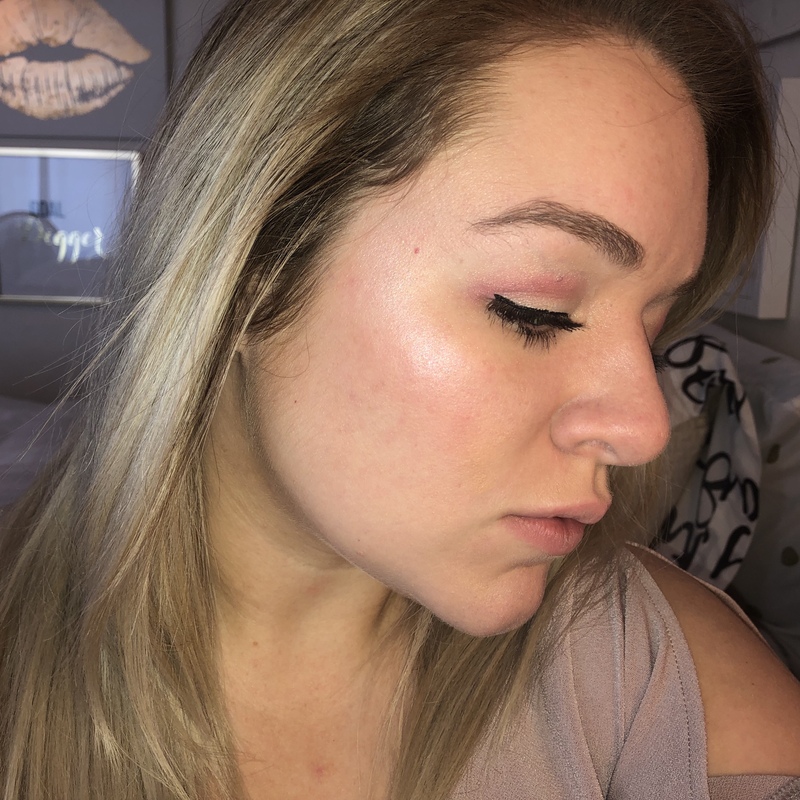 This entry was posted in beauty subscriptions, makeup and tagged australian pink clay porefining face mask, beauty community, beauty guru, beauty subscription, beauty talk, berry lip fix, dew me baked highlighter, estate cosemetics, Eye Basics, get soaked, Glam bag, glambag, haul, IBY Beauty, Ipsy, ipsy unbagging, makeup, makeup talk, maneater voluptuous mascara, sand and sky, sarah lokker, skyn iceland, tarte, tarte cosmetics, unbagging. Bookmark the permalink.